CEO of LinkDoc Technology (Beijing) Co., Ltd. 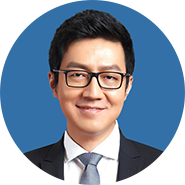 He graduated from Beijing University of Posts and Telecommunications in 2005 and holds an EMBA degree of China Europe International Business School. He previously worked at Tencent and Alibaba. In 2014, he founded LinkDoc Technology Limited, and built an intelligent tumor data standardization platform that has been directly used in the fields of AI-aided diagnosis, clinical research, and drug R&D and evaluation. In the first half of 2018, LinkDoc completed series D fundraising, becoming the first unicorn in the sector of AI-driven healthcare big data. China Investment Corporation, a state sovereign fund, was one of the most important investors during this fundraising. In 2016, he came out top in the List of Entrepreneurial Figures selected by Tencent and the Qiancheng Association - Langya Entrepreneurial List selected by Alibaba. In 2017, he won the title of Advanced Individual in the Youth Innovation, Venturing, and Excellence Award issued by Tianjin Municipal Committee of the Communist Youth League. In 2018, he won the honor of “Beijing Youth May 4th Medal” in the 32th selection session.